Home Creative Free Kids Special My Little Artist: Explore The Creative Side of your Brain !! My Little Artist: Explore The Creative Side of your Brain !! You might be knowing Nokia's Ovi Store, Android Market, Apple iTune Store, yes they are all App Stores for mobile devices. Now there is a similar App Store called Intel AppUp store for Windows PCs especially Windows XP and Windows 7. Just like the Stores from Mobile Ecosystems you will find tons of Apps from various categories ranging from apps which are absolutely free to apps which are priced up to a few dollars. After you have finished the installation of the App Store you will find that its has Windows Apps for virtually any need you can ever imagine from Useful Apps, Games, Utilities, Books, Educational, Entertainment Apps and loads more. 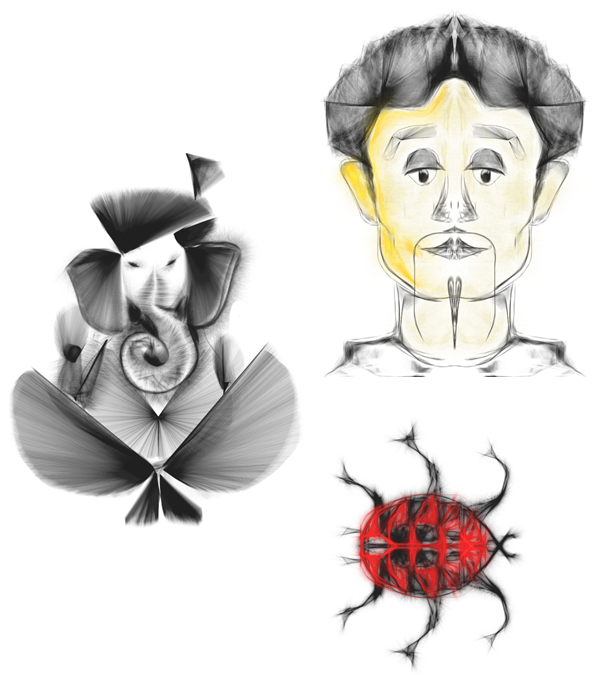 I downloaded a FREE App from the store called My Little Artist and I was amazed to see how easily I could explore the creative side of me and make really good digital images in a matter of few minutes. 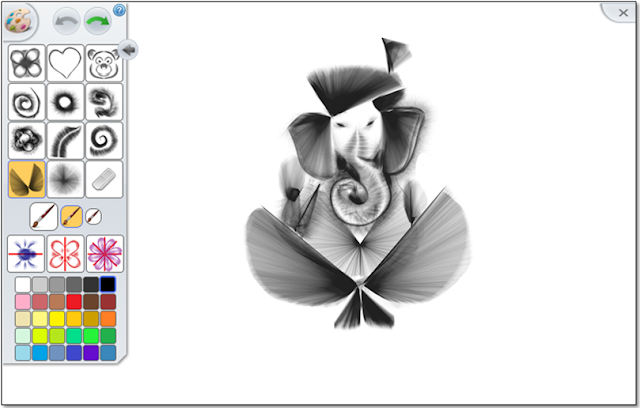 This App is especially useful for Kids who hate drawings this way you can make them draw cool images on the computer and the kids will also enjoy it. Below is a sample of images I created using this App. It did not take me more than 5 mins to make each one of them and that too so easily using the cool tools available in the tool box. I simply loved creating these images and I hope you will also enjoy creating them. Once you think you have done creating the image you can simply save it on your computer and post it on Facebook and boast your creative talent. 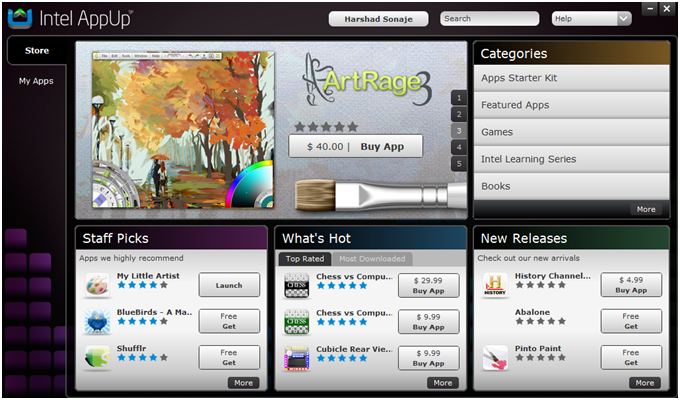 Rating: My Little Artist App on Intel AppUp Store. User Friendliness: 4.5 out of 5. Variety of Tools: 4 out of 5. So what are you waiting for Download the App and get started.